The secret to peaceful days at home with kids. 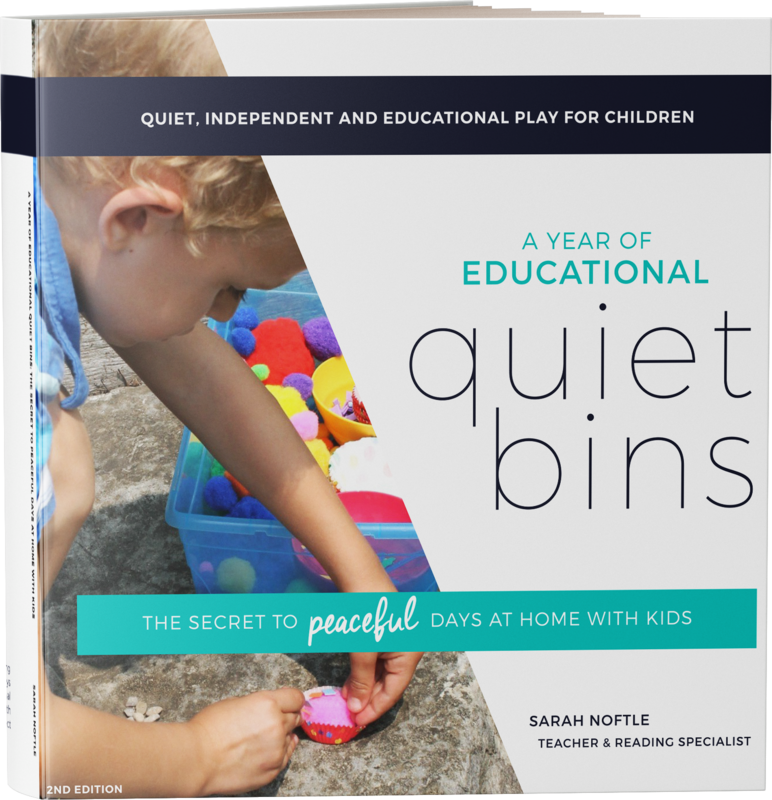 A Year of Educational Quiet Bins is an eBook that provides quiet time activity ideas so children can rest and play independently. Discover the lost treasure of YOU Time! I See My Future And I Have This Book! My days at home with my kids were not always peaceful. In fact, they used to be downright chaotic. I was miserable. I knew I needed a change and so I did a lot of research and found out what I was missing. I knew there had to be a way to be home with my kids without going crazy. I even believed there was a way for me to LOVE being home with them. But they were so busy. I could not have a shower, I could not talk on the phone, I could not do anything for myself at all - and it was taking it's toll. I was getting cranky and easily irritated. I wanted to be a fun and loving Mom. I discovered out how to accomplish it all. What I found out was completely life changing, so I wrote a book all about it! See, that is how peaceful my days had become – I had time to write a book. 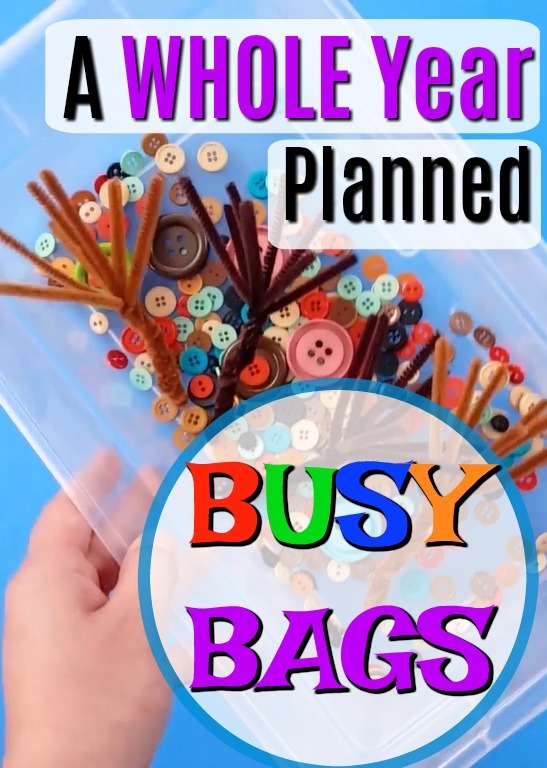 What are you going to do with your free time? I have done all the research for you! Now you just need to read this book to learn all about establishing a lovely rhythm. A rhythm is a way of living. It alternates busy times with slow, social times with independent, outings with time at home. A rhythm allows you to accomplish everything you need and want to, and brings peace to children and adults alike. It is incredible how quickly a home can go from chaotic to calm. You already have cotton balls. 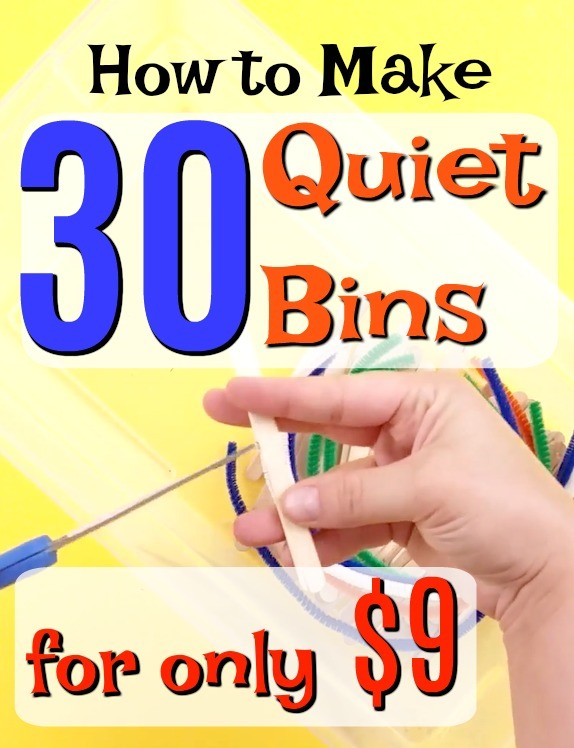 You already have pipe-cleaners. 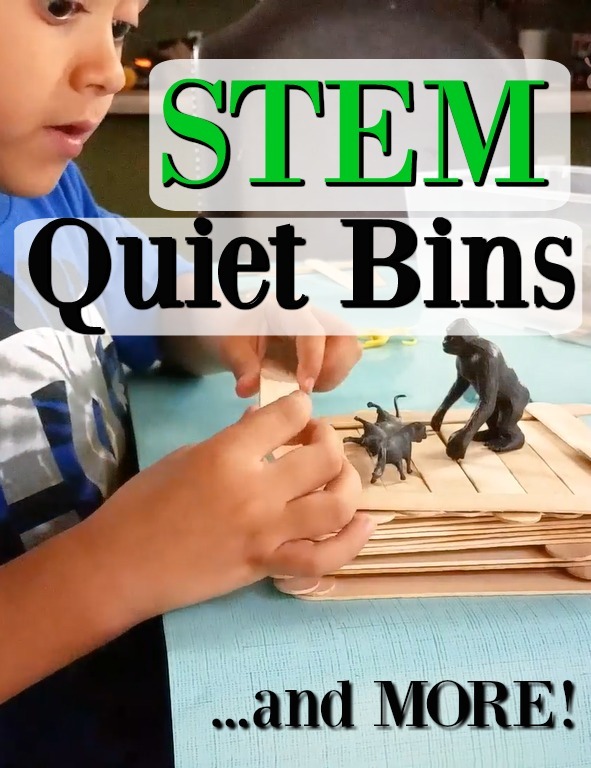 Grab 5 minutes to pop a few Quiet Bins together and you have the makings of a glorious (oh yes - GLORIOUS) quiet time. Young children have trouble settling into quiet times. They naturally want to play, move and go, go, go! But quiet periods are essential for a peaceful rhythm. This is where the magic of Quiet Bins comes in. absorb them into the calming nature of quiet time. 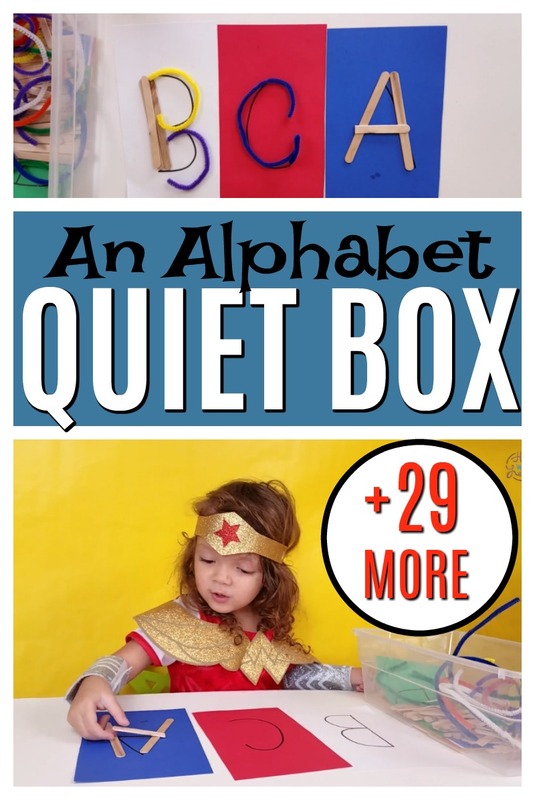 If you are a Mom of a toddler or a preschooler, Quiet Bins will be your sanity superhero. "These bins make life so much easier!" "As a child development specialist I highly recommend this book to every early childhood educator and parents with young children. 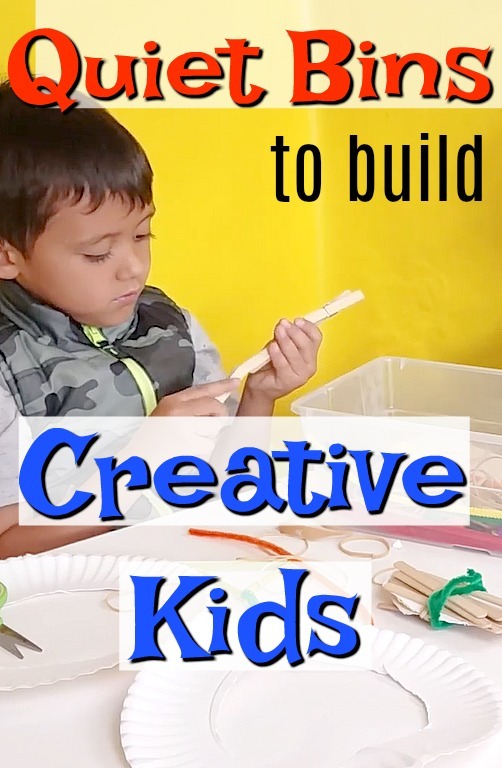 It is brimming with a plethora of easy to create, hands-on activities that promote active learning through play." "... 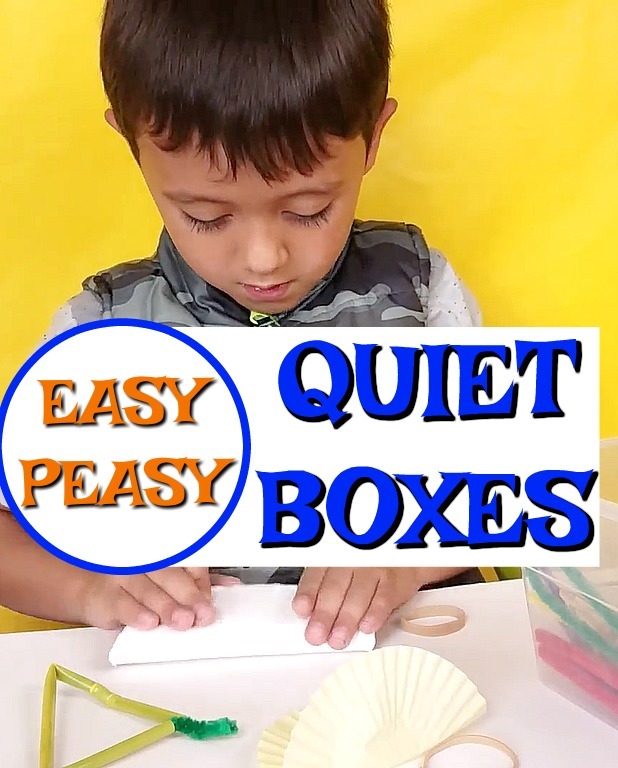 I love how they are used when you need a time of quiet and this easily replaces having your child in front of a screen to keep them busy. 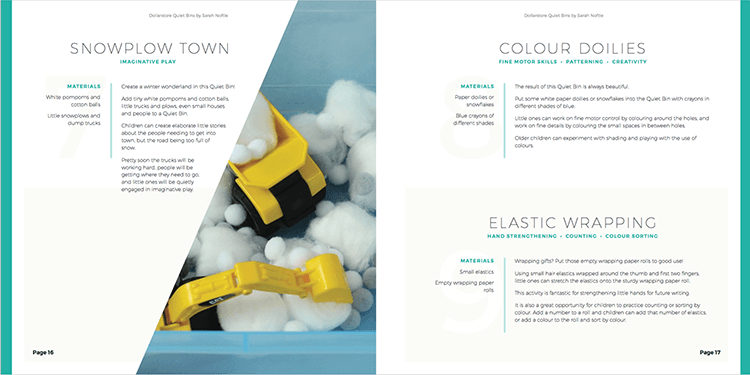 I read through the whole book and felt that I could really do any/all of the activities because all of the materials I already have on hand. I like simple or it doesn't get done..."
Inside each simple to set up Quiet Bin you will find amazing things! Get it now for $8! 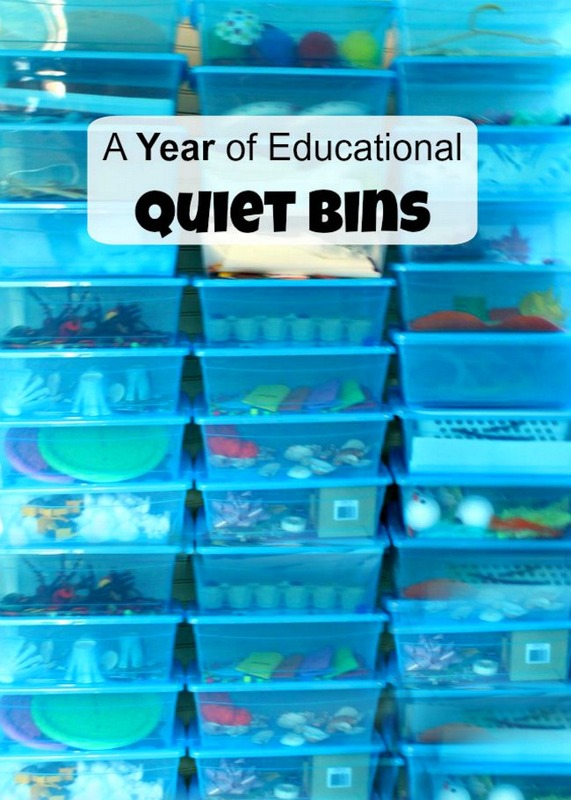 A Year of Educational Quiet Bins is also available for purchase from Amazon. Your choice of Print Book or Kindle.